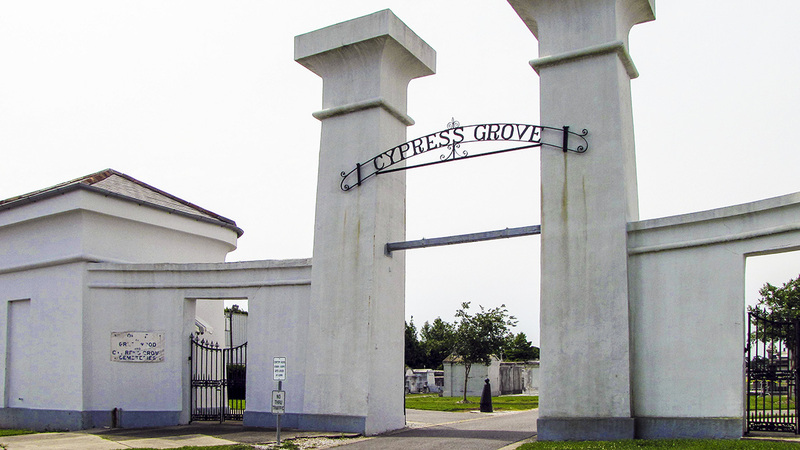 Established in 1840 on the former banks of Bayou Metairie, the cemetery was built at the edge of the city to accommodate its rapid growth. 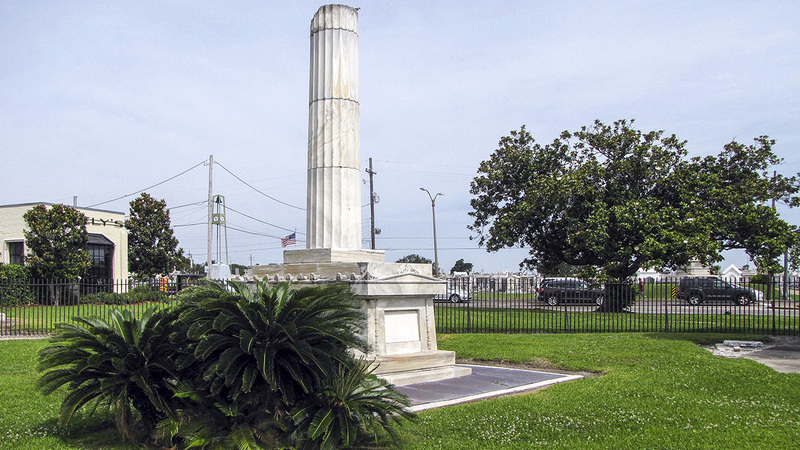 New Orleans philanthropist Stephen Henderson donated property to the Firemen’s Charitable & Benevolent Association, which sold the property and used the funds to purchase land at the end of Canal Street. 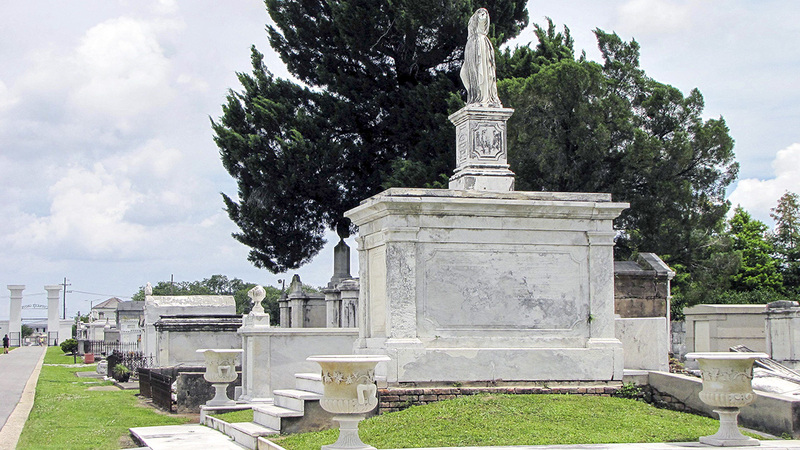 The cemetery was the first established in honor of the city’s volunteer firemen and also became a popular burial site for Protestant families in response to the deterioration of the Girod Street Cemetery. 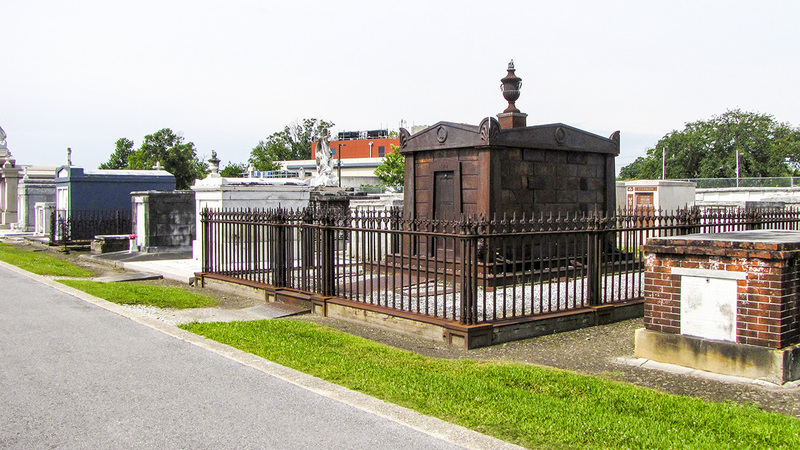 Located at the intersection of Canal Street and City Park Avenue, the monumental entrance gate was designed by architect Frederick Wilkinson in the Egyptian Revival style, and is reminiscent of the one at Mount Auburn Cemetery in Cambridge, Massachusetts. A broken Doric column, designed by French architect Jacques de Pouilly after a monument in Père Lachaise Cemetery in Paris, was placed near the entry, honoring firefighters who died in service. 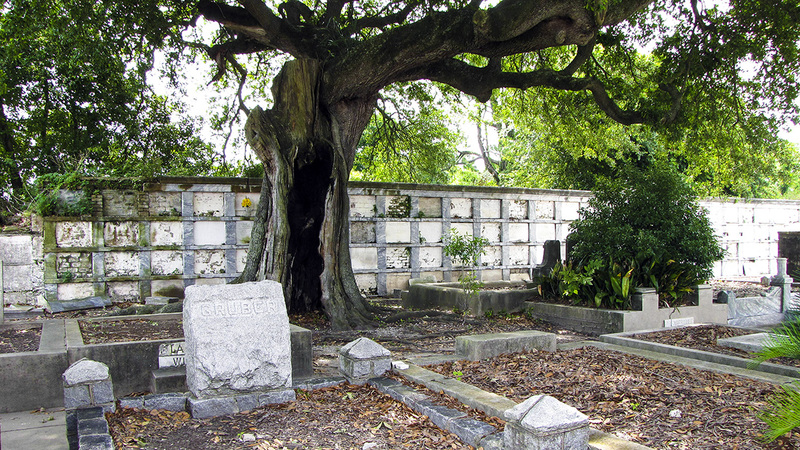 Tombs are arranged in a grid formation with a broad, paved walkway, called Live Oak Avenue, forming a long, central, north-south axis from Canal Street to Banks Street. The walkway is flanked by narrower parallel and intersecting paths named after locally favored plants and trees, including myrtle and rose. 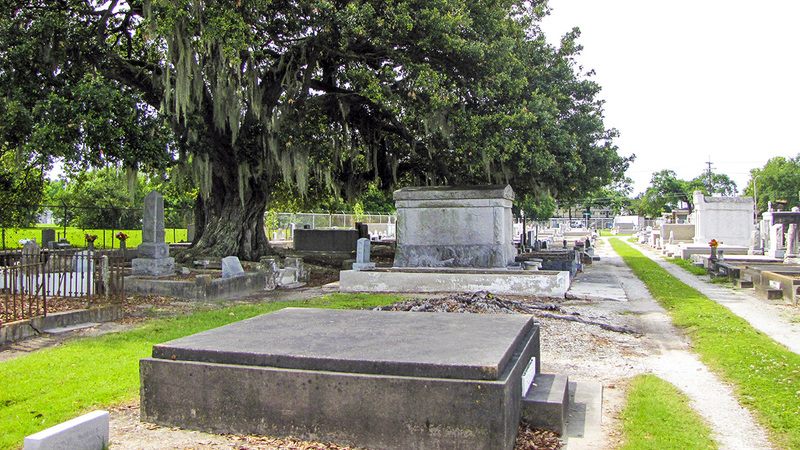 Two majestic live oaks stand on the eastern perimeter of the cemetery, their moss hanging low and grazing the tops of the graves below. 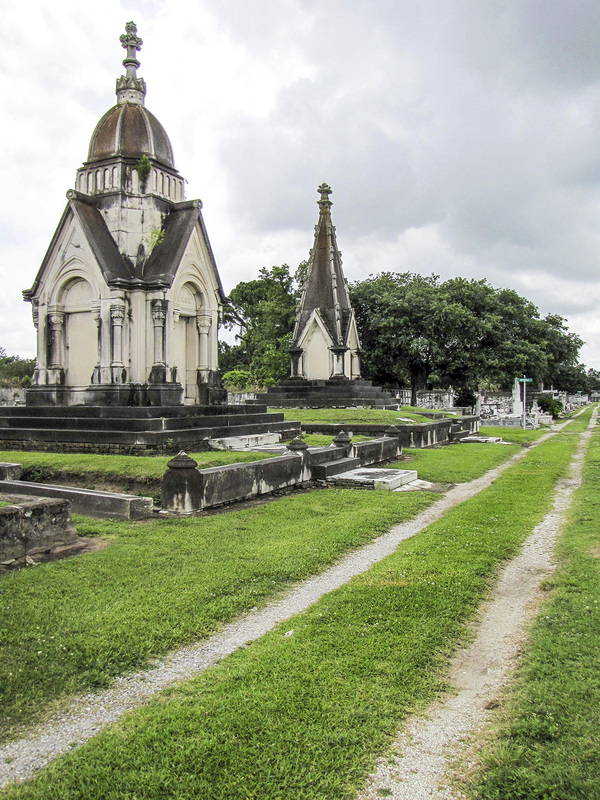 Elaborate marble, granite, and cast-iron tombs populate the cemetery and serve as examples of memorial architecture. 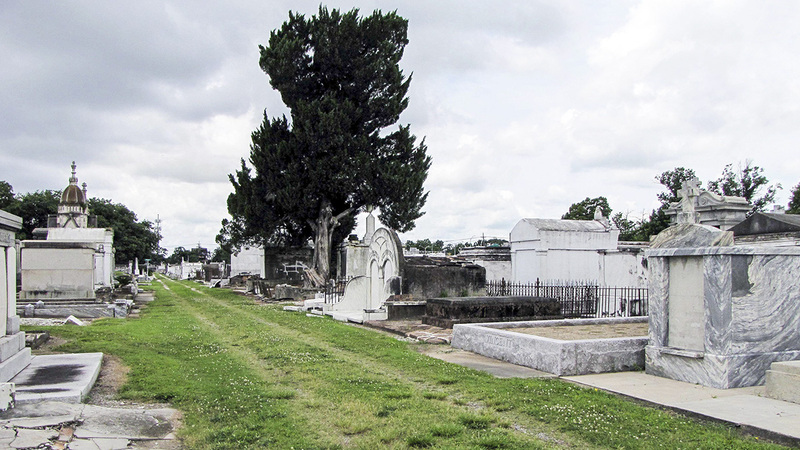 The cemetery’s irregularly shaped lot cuts diagonally across a city block, and is separated from St. Patrick Cemetery No. 1 to its east by a wall of “fours,” or stacked burial spaces.